Whew.. Mrs. MM and I finally signed, sealed and delivered both our income and property taxes earlier this week. Since I hadn’t made enough estimated tax payments on self employment income through the year*, it ended up being a pretty big bill. But it is done for another year, which is a fine feeling. This was the first year that I had to report earnings on profits earned through Lending Club. I had been nervously looking forward to this step, since the topic remains shrouded in secrecy. Internet rumors of uncertain rules and 20-page documents of confusing numbers detailing every one of your $25 notes were circulating. Doing some research on other forums and blogs, I learned that the company’s reporting method started out quite primitive, requiring major manual effort on the part of investors. But for tax year 2012, things have improved considerably. 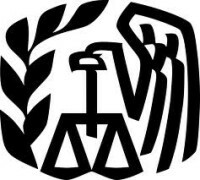 I had an extended conversation with a contact within the company, and could not get them to send me a statement of how to report loan income to the IRS – even when pressured with the prospect of public embarrassment on this blog. “Our lawyers won’t let us say anything, since we’re not legally allowed to give tax advice”, they said. The company automatically generates the right reporting form for you. It’s called the 1099-OID, which stands for Original Issue Discount. The actual term itself is a bit of an obscure financial one, but for our purposes it is very similar to just the 1099-INT, which is how your bank reports interest paid on your savings account. So all you care about in this case is the total for “Box 1”, which is summed nicely at the bottom. For me, it was $301 in 2012. This number already factors in any service fees you paid, late fees collected on your behalf, etc. Once you have that number, you simply plug it into Schedule B on your tax form (which in turn goes into box 8a), or in Turbo Tax under “Personal Income->Interest and Dividends->1099. Here you’ll see my little $301 again. That covers the happy case of income received, but it does not handle the necessary evil of “charge-offs” – loans that have gone bad and been written off from your portfolio. I didn’t have any of these in my first year of Lending Club (and still haven’t had any as of mid-April in the second year), but a certain number are sure to come. The currently fashionable way to handle these is on IRS form 8949 (Sales and other Dispositions of Capital Assets). Turbo Tax handles that form automatically for you as part of the regular interview process as well. In future years, it is possible that Lending Club may further optimize their 1099-OID to automatically factor in charge-offs as well, but for now, this is the deal as far as I can tell. So it’s not exciting, but it’s not scary either. *A few readers wrote in warning me of my crazy tax irresponsibility and the accompanying dire consequences.. to be clear on this, we didn’t deliberately underpay the taxes, we just paid the same amount as last year (which resulted in a refund at the time) but earned a bunch of extra money near the end of the year while incurring smaller business expenses than forecast. Hopefully I don’t get in trouble from the IRS, but if I do, it’ll make yet another good story. Been checking out your blog for the past few months and loving the forum! I’ve been procrastinating getting my taxes done; I would love that promo code if you feel so inclined! DEAN WINS!! .. nice job, only 4 minutes after the 6AM mountain time auto-publish date I had set for this post. Dean, I’ll email you that within an hour or so. You’ll see below that a good number of other people replied too, and thanks all for your entries. I’ll see if the Turbo Tax guy wants to give me some more codes – if so, I’ll mail five more in the order those comments were received. Glad to see I’m not the only tax procrastinator this year. Hey…finally a photo of Mr Money Mustache. I’m so relieved, I thought you might not have a mustache and that would wreck the whole image! Don’t worry, the facial hair is always changing.. But the name never will. I’ve had them done since Jan but I’ve been procrastinating the 5 mins it takes me to double check everything and click submit, and now, you have given me the punch to do this. Actually, an extension is what (statistically) lowers your chance of audit. I’ve never heard any statistics on filing closer to the deadline. That must be Junior mini-mustache in the background. What a cute little guy! Yes please! On the free TurboTax, that is. Awesome! I would love a free copy of turbotax if its still up for grabs! I’d love the turbo tax code! I was also a bit confused on how to report my Prosper earnings. After quite a bit of confusing internet research, I just reported the total 1099-OID in the TaxAct “1099-OID” box. I didn’t have any charge offs either, but that’s great to know that I need to keep track of that for next year. Damn, I didn’t read to the bottom of the post quick enough, work got in the way! Thanks for removing the tax mysteries for Lending Club! You just removed one of my biggest reasons for avoiding it. When you start to get Charge-Offs, will they be fairly easy to handle as well? Will there just be a form with a total and all you have to do is enter the number into IRS Form 8949? I already have and use Turbotax and I really like it. I love the “We’re not legally allowed to tell you how to interpret the complex paperwork we give you because that would be tax advice” excuse. Thanks for taking the time to clarify things for your readers. Sweet article. I am contemplating on doing my own lending club experiement, so this is very practical for me, though boring in the sense that doing taxes is boring. And dibs on the Promo code! I would love the code for the free Turbo Tax! I tend to do our taxes myself & then force my husband to double-check them, but as things get more complicated it would be nice to try Turbo Tax. I’d love that turbotax code! I would love a free copy of Turbo Tax. I’ve been interested in the Lending Club for a while now, since I’m always looking for investment opportunities that don’t involve the stock market (which I sort of really hate). Maybe this year is the time to try it. 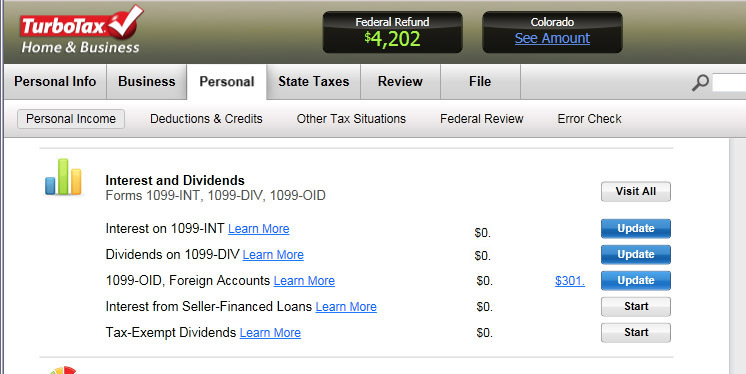 Nice summary on how you handled your Lending Clubs taxes MMM! In looking over your LC page, do you plan on calculating your actual return instead of just using LC’s NAR? Thanks for the low down on lending club tax reporting! I was always wondering how this worked and it was a big reason I didn’t want to get involved yet! What if you buy and sell notes on their note trading platform? Speaking of another article, I’d love to see a Mustachian take on managing expenses and taxes for part-time businesses. I do part-time consulting and find our city, state and the estimated tax requirements somewhat confusing and time-consuming. I also recently went through the fun process of doing my taxes and dealing with the Lending Club issues you mention. I had a little bit of a twist on your experience though. In addition to investing in newly issued notes, I purchased a fairly large number of notes through the trading platform Lending Club uses. Many of these notes were trading well below their face value (some as low as 1/10th of the face value). Not surprisingly, a large portion of these notes eventually defaulted and were charged off (although I am currently still in the black overall on these purchases). For tax purposes, and since I purchased these notes on the trading platform rather than funding them directly, I reported the related charge offs on my Schedule D along with my other investment purchases and sales. My thought process was that they would be treated similarly to an option that expires worthless wherein you record your purchase price for the note and then the sales price would be zero. The loss would be included in your calculations of capital gains and losses. Similarly, if I buy and then later sell a note on the trading platform, I would report these on my Schedule D as well. Thanks for the insider information on Lending Club, MMM. I made a goal to earn more on my savings this year by allocating funds into P2P lending, but was also hesitant after hearing about the headaches of reporting the income for taxes. This post provides the nudge I needed to start P2P and receive some yield on my dead-weight savings. Thanks MMM! I would hate that Turbo Tax code. Please keep it. I love free stuff! But I love a good article too. This may be useful down the road, if I give P2P a try. Do it! It’s a great way to diversify your investments. Biggest drawback for me is that it is taxed like ordinary income. I just signed up with LC last night via your link. Good information, definitely interested in seeing how things play out. Aside from MMM, do you have any websites/blogs you would recommend for further reading? Mr MM, How exactly did you fill out the 8949? When I get to it in Turbotax, the interview asks me for several dates (origination, the date the recipient stopped paying, the date you gave up on the loan) and the exact values… did you comb through your monthly statements to find all this info? Truth is there is nothing easy about trading stocks or options (or probably P2P lending, hence the post) when it comes to taxes at the end of the year; the brokerage may have an auto-generated schedule D, but then one or more funds will change their reporting info between Jan and Apr 14, which results in a new updated 1099 form being sent to you, this then renders all information on the auto-generated schedule D (and its associated form 8949) useless; every year I have had investments, I get at least one updated 1099 or other form late (i.e. it will arrive mid-march or later). One year, a certain fund actually sent me a schedule K-1 form on Apr 15 in the mail. This post serves as my 20th reminder to sign up for Lending Club. Part of my reservation in signing up is rooted in the company’s relative infancy and growing pains, like this tax issue. But you cleared that one up well. So thanks. Nice roundup and congratulations on not having any charge-offs yet. Sweet. For those of us with charged off loans it is important to include these on your tax return because you can take the deduction. Also, you may receive a 1099-B which includes recoveries from charge-offs that need to be included as income. Then there is the Folio 1099-B if people made profits on the trading platform. Some lucky investors would have also received a 1099-MISC if they received a bonus. If anyone remembers how to do this I would be really appreciate it thanks. I’d be interested in knowing how the not making estimated tax payments works out. I’m about to put my return in the mail, just as soon as I figure out the really tricky part: how to cram 13 pages in the standard IRS envelope. The idea of not making income tax payments during the year has become pretty much illegal in Canada. I guess if you’re self employed, you can get away with it for a while. The government discovered – some time around 1999 – that most people are too dumb to be trusted with this responsibility. Since then, any company paying anybody almost anything has to take a stab at figuring out how much tax gets remitted. Sure, I get that. I’m self-employed, send in my not-exactly-quarterly estimated tax payments, and deal with the hassle of trying to estimate a variable income. My strategy has pretty much degenerated into one of sending them an amount equal to last year’s tax, which avoids penalties. The problem I was seeing is that if I didn’t make payments, or pay enough according to the rules, I’d get hit with a penalty. So I wondered how that would work out for MMM. Thanks for the breakdown. I have been wanting to get into this for some time, but I can’t lend directly into loans because of our state laws. I will have to use the trading platform and apparently that requires a lot more work. Hopefully that doesn’t affect the difficulty during tax time. Am I the only one who sees “0” comments, when in fact there are many, on new posts until I click on the “Comments” link? I’m on Win7 and use Chrome. MMM’s proxies are still having issues I think. I see this all the time too. Hit refresh (F5) and the reloaded page usually comes back correct. This is an interesting post! As of right now, I don’t live in a state that allows peer-to-peer lending, but will be moving soon, so I’m looking forward to trying it out. However, I was a bit nervous contemplating the tax accounting – glad to read a positive account. I have always considered LendingClub to be a huge audit risk since they don’t provide any tax guidance and are a very unique form of income. When I struggled to file my taxes after my first year with LendingClub I switched my account over to an IRA so I don’t have to worry about it anymore. Good luck to you though! Do any of the Canadian mustachians know how we can get in on P2P lending? I have read so much about it but I can’t try it. I would hold it within my tax free savings account so any income earned would be free from taxes. I’ve gotten to the point any complex/confusing/numerous trading/transactions I do I now do within IRAs for the reporting ease alone…. I realize that’s a ridiculous reason…. I didn’t think about including the LC “charge-offs” in my taxes. D’oh! Thanks for the tip, MMM. Hopefully I’ll remember next year. I would be interested to hear if jlcollinsnh has any additional information. I know he once again donated his time to his regional VITA (Volunteer Income Tax Assistance). Did you talk with him about it, I know he is busy with his recent homelessness. How to report bad debts. Deduct nonbusiness bad debts as short-term capital losses on Form 8949. On Form 8949, Part I, line 1, enter the name of the debtor and “bad debt statement attached” in column (a). Enter your basis in the bad debt in column (e) and enter zero in column (d). Use a separate line for each bad debt. Make sure you report your bad debt(s) (and any other short-term transactions for which you did not receive a Form 1099-B or substitute statement) on Form 8949 with box C checked. Why you decided the debt was worthless. For example, you could show that the borrower has declared bankruptcy, or that legal action to collect would probably not result in payment of any part of the debt. For my Lending Club return, I just attached the LC statement that showed the amount of loans written off. FYI, I don’t answer individual, specific tax questions in blog comments. Any British MMM readers had to deal with the UK tax return and FundingCircle/Zopa issues? I’m guessing that charge-offs are unlikely to be netted within the 1099-OID, since charge-offs are a write down of permanently impaired assets (a balance sheet item) and OID is technically income. That means you’d be mixing and matching different financial statements, which us run-of-the-mill humans do all the time but accountants are less thrilled about. I am amazingly lucky in my life. I have a fantastic husband and a wonderful teenage daughter that brings me joy every day. It is possible to be this content and happy on a MMM diet. Currently we are spending 1/3 of our income on various taxes, 1/3 to savings and 1/3 to living. We are debt free. We are a single income family. We have lived through job gains and job losses. We have been doing this now for 4 years. I am 2 years away from reaching FI and 5 years away from being able to do anything I want to earn a living. We are living a life of plenty and needing nothing. We don’t sweat the bills, we don’t struggle over money and we have a life that I have to pinch myself daily for having. My plan is to reduce by income by ½ and apply the skills and expertise I am learning to a charity that I really believe in. I started this entry by saying I am lucky. I am. I have parents who encourage me with love, advice and guidance. Who taught me that debt was a prison of my own making.. who valued the education that now gives me my high income job. I am lucky to have found friends who accept the choices that I make in my life about spending. Who allow me to me – without the silly clothes and excess consumerism. But, what I am really lucky about is my partner. I don’t think you write enough about how this is a partnership. One person in a family is not enough. To be successful it has to be a family affair – a set of family values and a family lifestyle. It is not about money. It is about aligning goals and objectives for your total life. When you spend in alignment with your values it is easy. When you spend in alignment with others value life becomes really really hard. When I was younger I met and shared my life for 6 years with a “mr spendy”. We were just out of school, struggling for money for dinner, when on my 25 birthday he bought me a Louis Viton purse! Worse, he paid for it ON CREDIT. I cried the whole day. I did not understand why I was so low. It was just a gut wrenching sadness. We broke up the next day. Not over money – but over very different values – of which money was only one element. Three years later I met my partner. I remember clearly after we started talking about our life together – talking about a ring. I still remember him saying to me that we couldn’t do certain activities because he was saving for my ring. He knew and got that a wedding ring on credit would have deeply hurt me. Together we have done what others could not. We have a mortgage free home in one of the top three most expensive cities in North America. We have cars (sorry MMM) although they are well maintained older vehicles. We have a boat, a cabin, and far too many toys. It is not about doing without. Nothing came full price. Everything required sweat equity. The sweat equity was fun! A family project. A building of our lives together. Why am I writing now? I have been lurking for a while. I just wanted an opportunity to express my joy with my life partner. We built this together. A wonderful life. Not everyone gets this. We have our doubters. Why one income, why save, why do you make your choices? Live now.. Save later! You only live once! And on and on. I really enjoy how you speak about Mrs. MMM in your blog. But, a celebration of what she brings to your family and the joys of MMM partnerships is needed on your blog! I know you do both P2P lending, and own investment property, so you’re a good person to ask: if I can ONLY do one OR the other, which makes more sense, and why? To do P2P requires a min of $250K in assets. If I buy an investment property, I’ll go under that amount, which is why I need to do either / or. I’ve been working on numbers for both, and am looking at things like tax rates for both types of income, property tax rates and related investment property costs, reliability of income, amount of income. What am I missing, do you think, in order to make a good decision? You understand and acknowledge that: (i) except as set forth in (ii) or (iii), you have an annual gross income of at least $70,000 and a net worth (exclusive of home, home furnishings and automobile) of at least $70,000; or (b) have a net worth of at least $250,000 (determined with the same exclusions). Are there any current promotions for the Lending Club?A few months ago I saw a referral promotion where both you and new lenders could receive a bonus. You sure you did this correct? There’s a nice little ‘*’ at the top of column 1 which says this might not be the correct figure to report on your tax return. If these numbers for each note are the actual amount received then you need to calculate the interest payment vs the return of capital. You should only pay taxes on the interest. #1) I literally just setup my LC account last week so I don’t know how LC reports the differences between interest and capital repayment. #2) I’m not a CPA and I hate doing taxes – although I hate paying more than I should. I noticed today that Lending Club increased their $100 referral incentive to $200 for a $5K investment! Sadly none of that applies to us Texans who are limited to FOLIOfn. Wow, amazed I got this right this year filing my own taxes completely by guessing on my own. In fact, my tax preparer last year got this wrong and I specifically had to disregard how he filed it and fix it this year around. Needless to say, quite proud of myself. Nice article. I want to join Lending Club. I am not sure how to handle my tax situation. I am able to borrow considerable amount at 3% interest from my credit card and I want to invest that in Lending Club. At the end of the year when I do my taxes how do I show that 3% as an expense and deduct that 3% from the total returns from LendingClub? First, most credit cards offer teaser rates which quickly balloon up to a higher rate. So double – triple check that the 3% you are looking at is a long term (3-5 year) rate, since that’s how long your money will be locked up at Lending Club. To answer your specific question – unless you are a business you don’t get to deduct expenses off of your taxes. So you’ll eat the 3% and just make the difference – but you’ll pay taxes on the interest you earn. If you really want to borrow money and invest it (not something I’d really recommend) do it with equity on your house. That would have low interest rates and you can deduct that interest from your taxes. @Hellman your comment about expenses is generally true, but when it’s related to the production of income, it’s deductible. That’s why nonreimbursed employee expenses are a deduction. In the case of interest expense incurred in generating interest income, this would be reported on Form 4952/Line 14 of Schedule A. Get in touch with a CPA if you have questions. I can think of one that could help…. I must say that I’m a little disappointed in you MMM. To see that you pay for a service (turbo tax) when all the free forms are on the IRS website is appalling to me. I challenge you to do all your taxes the free way this year, and learn some stuff along the way. When I did my taxes last year it was a pain in the A**, but it felt so good to know that I used all the governments forms and not a simple tax website which swindles me out of my hard earned employees (Uncle Sam takes enough of those). Thanks for the article though, I too have a lending club account that I’ll need to report this year. I used to feel the same way–hate paying for things that should be free. But all these paper forms you file get manually entered into a computer by a data entry clerk, a real human who is working away as fast as they can, and they make mistakes, which happened to me several years ago. Even at 99.9% accuracy that’s one error every couple of returns? Getting a letter from the IRS saying you owe them money is not my idea of a good time. Spending hours–hours–on the phone on hold and then explaining to the IRS agent that you don’t actually owe them any money is also not my idea of a good time. Explaining that 10% of $4000 is actually $400, and not $40 and then having to wait while they do this calculation on a calculator is also not my idea of a good time. So, yeah, that was the last time I paper filed. 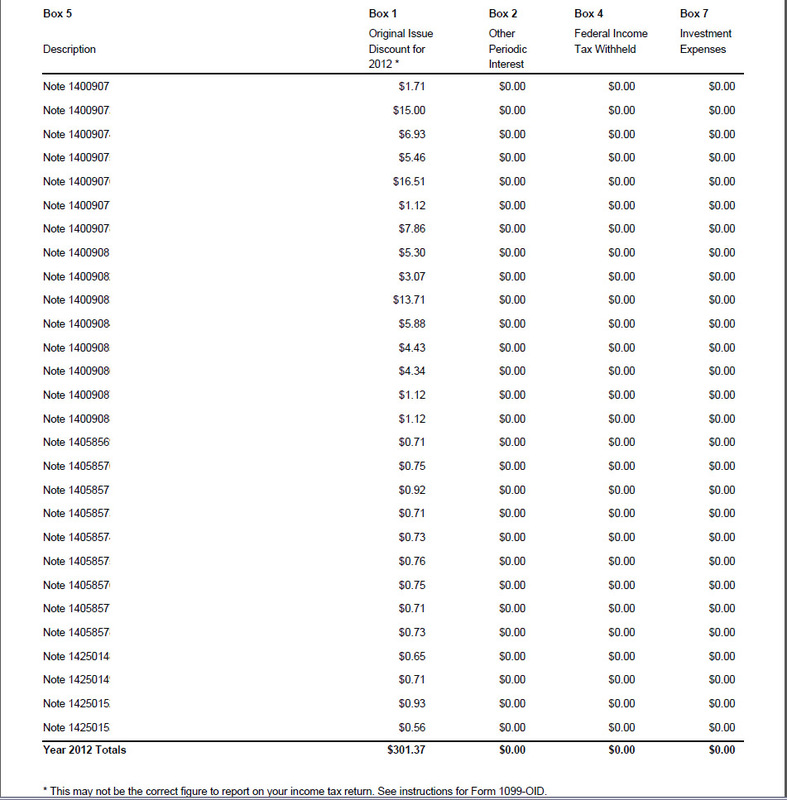 The problem I’ve found with reporting charge-offs on the 8949 and Schedule D is that the IRS limits the loss you can take to $3000. No big deal if you don’t have a lot invested but a serious drawback if you have a lot on income interest and can’t subtract out your losses. One solution I read was to report your interest as business income and charge-offs as losses. That way you are only taxed on the profit you make from peer lending. The first year I did this the IRS wrote me saying I hadn’t reported the OID interest income and owed additional tax. I called them and explained it was reported on the Schedule C as business income and did not have to pay any additional tax. This year I reported the interest on the OID worksheet but then entered an adjustment for the full amount with a note that it had been reported on Schedule C Part I. No questions asked so far at least. However, I have yet to find a tax adviser to support this position and am uneasy about putting more money into peer-lending.